A big part of travel is about eating like the locals, trying out new dishes and flavours at different times of the day. 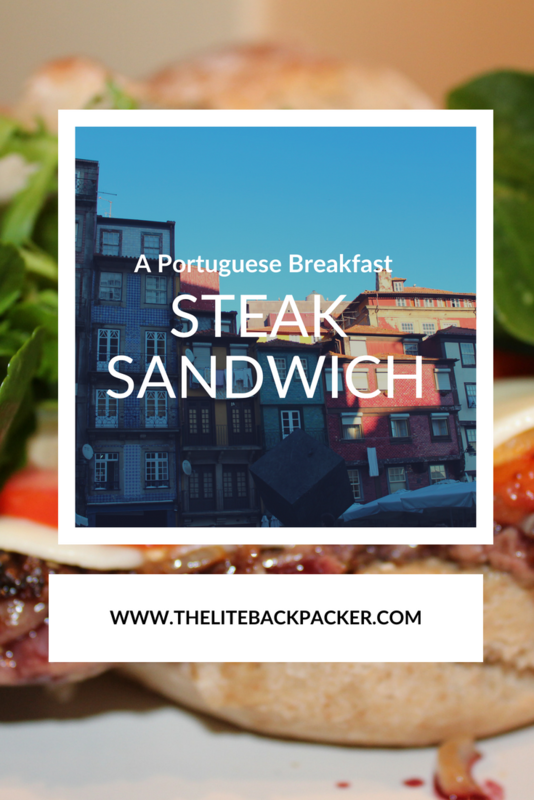 A Portuguese breakfast stake sandwich has fast become one of my favourite foods. Every culture has a different breakfast food… every region in fact. Choosing what to eat can often be confronting for the western traveller, especially when the options are what we consider to be “dinner foods” at breakfast. Some places have curry, others have chicken foot soup, some have beans while others have stewed fruit with spices. The world is a big place and nearly everyone likes something different for breakfast. Personally, I am not a big fan of traditional western breakfast foods. I don’t really like muesli, cereal isn’t my thing and there are only so many eggs I can eat before my tummy protests. Instead, I have always gobbled leftovers from the night before and had what I call “dinnerfast” – leftover curry is actually one of my favourite ways to start the day. Porto, Portugal, was a complete breakfast sensation – I have finally found a breakfast food that I can get on board with. discovering this delicious and extremely simple new breakfast food was part of the adventure. TRAVEL TIP: Always ask where to eat out for breakfast instead of dinner, it’s cheaper, often healthier and generally packed with locals. Wanting to eat like the locals I asked my AirBnB host where they would recommend for breakfast. My host recommended it’sfeitaria do Bolhao a bakery and patisserie with a small cafe up the back. 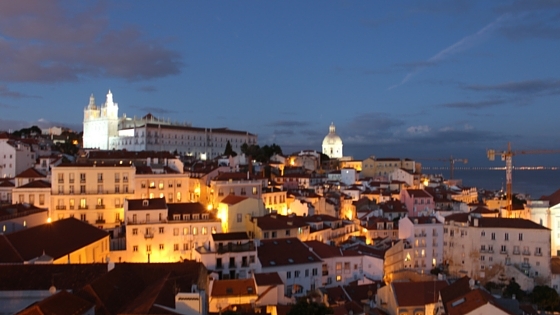 A popular place recommended for both locals and tourists alike. At first, I was overwhelmed by the number of pastries, both sweet and savoury that gleamed golden in every direction. How was a person to choose just one… how was a person to consume such rich food so early in the morning? I sat at my table watching the busy waitress flit around tables, miraculously remembering everyone’s order and clearing tables in unison. In this time I watched a couple of locals arrive saying hello to all of the staff as they entered. Finally, they called over the waitress and placed their order in quick Portuguese… I couldn’t catch what they said. Instead, I ordered one of the heavy pastries and sat back to continue my people watching. My pastry came out and was completely delicious – I loved every bite. The locals I had been watching, food also arrived at the same time. They had a steak sandwich and a stout beer. My eyes lit up! 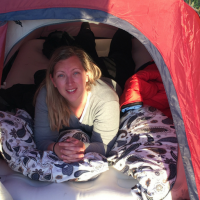 The next day I headed back – the atmosphere was still energising and entertaining. This time though I ordered the steak sandwich (eventually the waitress understood what I wanted when I managed to point at another locals meal) – it was a life changing breakfast moment for me. The steak was tender and juicy, cooked only with salt and pepper, the cut of meat was so tasty that I felt it had to be rump. The bread had no sauce or butter – but was there purely to soak up the juices from the steak, and it did a fine job of that. I was astonished that something so simple could be so delicious, filling, and healthy! My new favourite breakfast food had arrived… move over bacon sandwich – steak sandwich is in the house! 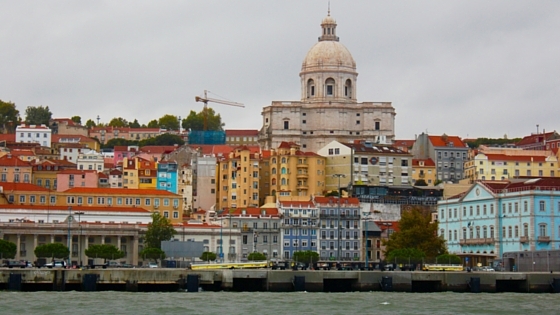 Travelling south to Lisbon I discovered that their breakfast sandwich is different from what you find in Porto. They use a thin pork steak instead. Preferring beef, I headed to the supermarket to get some steaks and bread to cook it back at my AirBnB. The butcher understood instantly what I wanted after I looked at the steaks on display and realised they were too thick… a proper Portuguese sandwich has thin steak. No need to fear though, he pulled out a whole tray of thinly sliced rump steak for me to choose from. Finding a bakery was no problem, getting their early enough to get the best bread was. The steak sandwich is only as tasty as the bread. Clearly, the simple Portuguese steak sandwich can also be transformed into a hearty and healthy dinner. So easy to throw together in the evening… or first thing in the morning if you prefer to be traditional. I embellish mine when I have it for dinner, but keep it simple for breakfast. 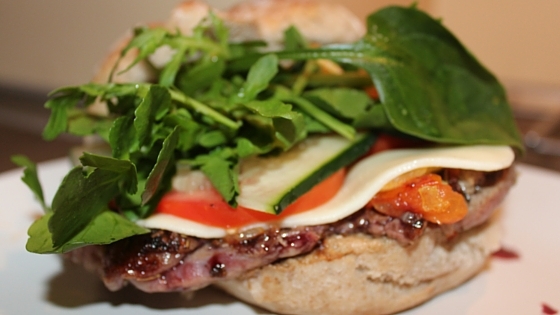 Here is my simple, easy, cheap and tasty recipe for a Portuguese steak sandwich. In a saucepan gently cook the onions in some oil until they are translucent. Add the tomatoes and a little water to the pan, let them reduce and soften on a low heat. Season your steak with a hearty dose of salt and pepper. Heat up a frying pan, don't place any oil in it. Place the bread rolls face down in the pan for a few moments - you want them warm and a little dry but not completely toasted. Remove bread and add in some oil. Cook steaks, 1 minute each side should be enough. Build your sandwich with tomato relish, steak, lettuce, cheese and cucumber. 10 Euros - you can get 4 servings out of this as steaks usually come in 4 packs. So thats 2.5 Euros per meal. The tomato relish is my version of tomato sauce... you can simply use ketchup instead if you have it. You dry the bread a little to stop it going soggy, but you still want it to soak up the meat juices.